One of the Best Daisies Available! NEW! 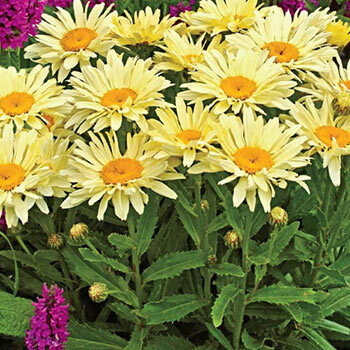 Vigorous grower produces sunny yellow flowers all summer long, adding bright color to borders, containers and cutting gardens for weeks and weeks. Blooms become butter yellow as they age, finishing in a creamy white. 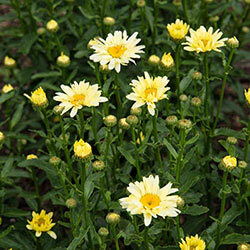 3-4" blooms feature an extra row of ray petals that help to create a fuller appearance. Disease resistant and compact. Foliage Type: Dark green toothed glossy leaves that are obovate. Flower Form: 3 - 4" wide daisylike flowers with bright yellow centers. 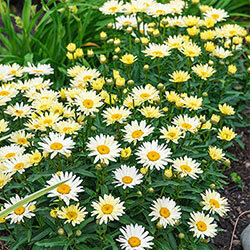 Planting Instructions: Full sun is best location, but will tolerate partial shade. 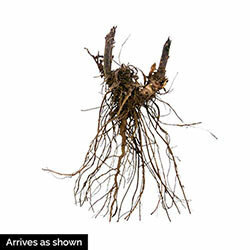 Soil Requirements: Moderately fertile, well drained soil slightly moist.